Two people in a stolen motor vehicle rammed into a police car yesterday – in one of a series of incidents which have taken place in the city in the last few days. These include an aggravated robbery in Phillip this morning, a burglary in Chisholm yesterday, and the arrest of alleged offenders for stealing a car following a test drive on Saturday. Police have arrested a 21-year-old Belconnen man and a 21-year-old Coombs woman following the theft of a motor vehicle from Curtin yesterday and a collision with a police vehicle. 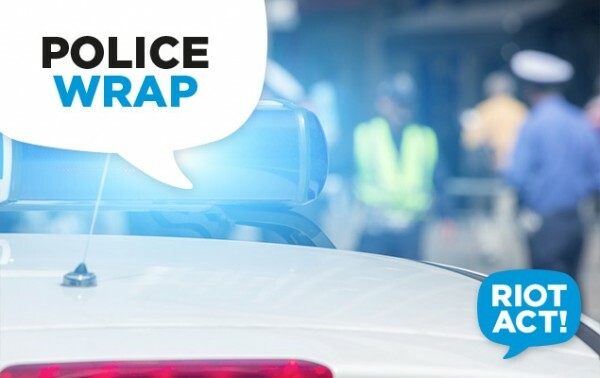 ACT Policing states that at around 1.45 pm yesterday (September 25) police received reports that a vehicle had been stolen from an address in Curtin and that later that evening police located the vehicle in Coombs. Police state that, in an attempt to flee from police, the occupants drove the stolen motor vehicle at police, colliding with the police vehicle. The offenders then drove at high speed down a footpath, colliding with the footpath handrail and an electricity power box. The two alleged offenders were then arrested and taken to the ACT Watch House. The man will face the ACT Magistrates Court today charged with various offences including “fail to stop motor vehicle for police, ride/drive motor vehicle without consent, drive while disqualified, and aggravated furious/reckless/dangerous driving”. The woman will also face the ACT Magistrates Court today charged with ride/drive motor vehicle without consent. A 22-year-old man and a 29-year-old woman will face the ACT Magistrates Court today following a series of aggravated robberies. At around 10.45 am on 21 September, the two offenders entered the Anaconda store in Fyshwick and tried to leave with a number of items without paying. Police report that a store assistant approached the offenders and was threatened with a knife. In a separate incident which occurred around 5.50 pm on Saturday (September 23), the owner of a Volkswagen Golf GTI met with the two offenders near the 7-Eleven at Giralang, with the aim of selling the car. Police report that the male offender and the victim took the car for a test drive, with the offender producing a knife and demanding the victim get out of the car. The victim did this and the offender fled the area in the car. 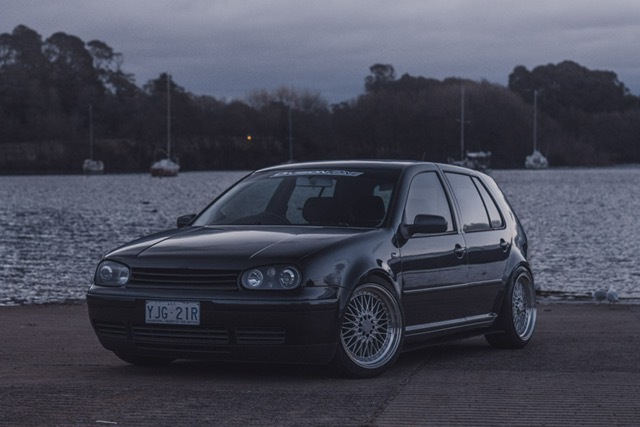 Yesterday, the Volkswagen Golf GTI and another stolen vehicle were recovered in Fraser. Police say they are continuing with investigations into related aggravated robberies. The stolen Volkswagen Golf GTI, which has now been recovered. ACT Policing is seeking witnesses to an aggravated robbery which took place on Callum Street, Phillip early this morning. The victim was walking near the footbridge at 12.15 am when he was approached by two males and robbed at knifepoint. Police describe the first man as being Caucasian in appearance, approximately 180 cm (5’11”) tall, aged in his late teens to early 20s, of slim build and wearing dark clothing. The second man is described as being Caucasian in appearance, approximately 182 cm (6’) tall, aged in his early 20s, of slim build and was also wearing dark clothing. Police urge anyone who witnessed the incident or who has any information that could assist them to contact Crime Stoppers on 1800 333 000, or via the Crime Stoppers website. Please quote reference 6155928 and information can be provided anonymously. A 29-year-old Macgregor man will today face the ACT Magistrates Court charged with burglary and traffic offences. At around 6.00 am yesterday (September 24) police received a report from a member of the public that a man had just left the area in a vehicle after acting suspiciously at their neighbour’s residence in Chisholm. Police conducted a search of the surrounding areas and a short time later they located the vehicle and the offender in Gowrie. He was arrested and taken to the ACT Watch House and has been charged with “unlawful possession of stolen property, fail to stop for police, reckless/dangerous driving and driving while unlicensed”. Police have thanked the public for their assistance and urge anyone who notices suspicious behaviour to report it on 131 444.